ANALYSIS: With Keiro sale scheduled to close in early 2016, a look back at the past few months. In Boyle Heights, there is a pond where koi swim beneath lily pads, where seniors eat hot soba and teriyaki steak. The neighborhood has long since shifted, over 90% Mexican now, but Keiro Senior HealthCare remains a reminder of its Japanese history. When I last visited, I watched the koi as, here and there, seniors walked past — now a man with a walker, now a woman with a cane. The cool air felt refreshing after a long, hot summer. It rustled the grasses sprouting from the pond. From where I stood, Keiro seemed a peaceful place to live and to age. Frank Omatsu, the last survivor among Keiro’s eight founders, says that his mother hoped Keiro could be a place where seniors “suterareta kimochi ga nai,” or “don’t feel like they are being thrown away.” Based on the stories of residents, their families, and those who assumed they would become residents one day, Keiro did live up to that vision. But now, the words “suteru” and “throw away” are being used again. Those who disagree with Keiro’s decision to sell its facilities — two nursing homes, an intermediate care facility, and a retirement home — often use them to describe, if hyperbolically, how they feel residents will be treated when the new management takes over and begins to make changes, to policy and to residents’ daily lives. Although Attorney General Kamala Harris approved the sale under the condition that the facilities remain the same in certain key ways for five years, residents and community members worry about what will happen after that conditional period ends. In the absence of a written promise, they speculate: Will the Japanese-focused care disappear? Will Medicare or Medi-Cal patients be turned away? Will the senior home buildings be torn down to make way for apartments, as property values in Boyle Heights increase? The new management have answered some of these questions. The buyer, real estate firm Pacifica Companies, and the contracted groups that will run the facilities, Aspen and Northstar, have all said they will do their best to honor the mission of Keiro. Ryan Case of Aspen said, at an open meeting held by Keiro in October, that it’s very unlikely that they would stop accepting Medicare or Medi-Cal. But even if Pacifica could make a firm commitment beyond five years, it’s impossible to know what will happen to Keiro in the more distant future. As we have seen recently, with the Hannah Carter Japanese Garden, even a donation meant to last forever is no guarantee of immortality. Charles Igawa, one of the leaders of the Ad Hoc Committee to Save Keiro, says that the Keiro board failed their organization’s mission not when they decided to sell to Pacifica, but when they began to consider the possibility of selling at all. For a business, even a non-profit, this standard is extreme, if not also impossible and naive. But Igawa is not alone in his view. Many believe that Keiro belongs to Japanese Americans, in a way that transcends business decisions or state policy. It’s sad to let go of an institution with such deep, emotional roots. And Keiro isn’t the only one. Often it feels as if the collective mission of Little Tokyo and its organizations is showing respect for our elders, preserving the things they made, both tangible and not. Nisei are still the backbone of this community, and as they continue to pass away, all Little Tokyo organizations wonder if they can ever be replaced — as volunteers, donors, even readers of community papers like The Rafu Shimpo. As Little Tokyo changes — through trendy restaurants, expensive loft apartments, and the massive upheaval surrounding the Metro Gold Line extension, to name just a few examples — so does the greater Japanese American population. We are now more mixed-race, more likely to be from a post-1965 immigration lineage, and — although we who work here can easily forget — less likely to frequent Little Tokyo or see its organizations as central hubs. A friend, mixed-race, raised in both Japan and the eastern U.S., now working in Tokyo and Los Angeles, recently told me that she feels more at home in Sawtelle, the new Little Osaka, than she does in Little Tokyo. The latter, she said, felt like a previous era’s Japan overrun by touristy shops and non-Japanese restaurants. Keiro administrators cited these changing demographics among their reasons to sell too. In interviews with The Rafu Shimpo, CEO Shawn Miyake and Board Chair Gary Kawaguchi said that they expect the number of Japanese Americans who need or even want Japanese-language and Japanese culturally-specific care to continue declining over the years, until Keiro in its current form becomes an unsustainable business. Miyake said that while no mixed-race couples currently live at Keiro, by the time his generation, people now in their 60s, retire, many will be in interracial marriages, and they will have different needs and expectations for their care. But Shin-Issei, “new,” post-1965 immigrants, are among the most vocal in protest against Keiro’s sale. Even though Japanese Americans of pre-war immigrant lineage are becoming increasingly assimilated, many newer immigrants, especially in a city like Los Angeles, with a large Japanese population, speak mainly Japanese, and when they retire, if they stay in the U.S., they need the language services that Keiro can provide. In fact, Japanese speakers currently make up over half of Keiro’s population. Shin-Issei have also been active at meetings concerning the sale, both those held by Keiro and those held by the Ad Hoc Committee. Some of the most prominent members of the Ad Hoc Committee are also Shin-Issei: Charles Igawa, Dr. Kenji Irie, and Dr. Keiko Ikeda. Dr. Irie, a poetic speaker, personalizes the protest meetings by speaking of himself as a potential future resident. The Ad Hoc Committee, although they began acting in earnest just four months ago, organized and gained support quickly. They collected petition signatures to try to persuade both the attorney general and Keiro to stop the sale, or at least to halt it so that the attorney general’s office could hold a town-hall meeting, to gauge community feeling and re-evaluate whether a sale would really be in its best interest. On top of petitions, the group also held its own town-hall meetings, spread information, did its own research about Keiro’s financial status and legal rights, and appealed to the Consulate General of Japan for help. Their actions won the support of several local politicians, including California State Assemblymember David Hadley and Congress members Judy Chu and Maxine Waters. All three wrote letters to or called Attorney General Harris, Chu also getting 15 fellow members of Congress to co-sign her letter. By the time the Ad Hoc Committee held its latest public meeting on Nov. 23 at the JACCC’s Aratani Theater, it seemed possible that they might have an impact on the pending sale. They had strength in numbers (enough to fill the bottom half of the theater), they had powerful political allies, and they were making bold demands — not just a cancellation of the sale, but the resignation of Miyake, Kawaguchi, and the rest of the board. Igawa felt that, because they failed in their duty (by so much as considering the possibility of selling Keiro’s facilities), they needed to be replaced. Keiro, for the most part, has not engaged with the protesters, apart from press releases, official letters, and one open meeting in October that devolved, by the end, into jeers from the crowd. As angry as they are about the proposed sale, which is scheduled to close any time now, protesters are upset about Keiro’s communication methods. Many felt blindsided by the sale, some residents and staff included. On this point, Keiro and protesters are at odds. Miyake and Kawaguchi insist that Keiro has been talking about the sale for years, at meetings around Los Angeles with residents, families, donors, staff, volunteers, and those who take Keiro’s Genki Living classes, which give advice about aging and caregiving. In early fall, as the protest movement was beginning to coalesce, Miyake said that information concerning the sale is available online for anyone to read. On Oct. 2, Keiro sent a press release to The Rafu Shimpo listing all publications that discuss the sale. The release, a hyperlinked list, was available only in English and translated poorly to print. For an organization serving seniors, more than half of them Japanese-speaking, this move did not support Keiro’s case of transparency. Although Keiro leadership continues to maintain that they have done their best to communicate all along, changes to their website show that they may have learned from the backlash. Information about the sale, which used to be tucked away on the site, easy to find only if you knew you were looking for it, now dominates the front page. Whatever the reason for Keiro’s communication style, Kawaguchi in particular sounds genuine when he says that deciding to sell was difficult and heartbreaking for the board of directors, whose members have long family histories in Little Tokyo. Because of the changes in the community and in healthcare policy, as a result of the Affordable Care Act, he says Keiro simply could not continue providing residential care. In particular, Keiro expects accountable care organizations (ACOs), introduced in the Affordable Care Act, to make business more challenging for small, specialized facilities. An ACO is a network of healthcare providers, similar to an HMO, that is meant to ensure that all of a Medicare patient’s doctors are communicating with each other, in order to prevent unnecessary treatments and, ultimately, to save money. Unlike HMOs, ACOs do not require patients to stay within a network, but they do encourage conglomeration, making it more difficult for small facilities to compete. Thirty years ago, City View Hospital closed for similar reasons. In 1982, to reduce Medicare expenses, the federal government began implementing a system of payment called diagnosis-related groups (DRGs). Until then, Medicare had been reimbursing hospitals for whatever a given treatment cost the hospital. Under the DRG system, however, each treatment had a predetermined amount that Medicare would reimburse. This meant that hospitals would have to cut costs to stay within those limits, which was more difficult for smaller hospitals, whose facilities and equipment were shared among fewer patients. City View remains a trigger word for some in the community, and Keiro’s current struggles bring back the memory of that time. Dr. Takeshi Matsumoto, another of the Ad Hoc Committee’s leaders, worked at City View, protested the events leading up to its closure, and in the process, was allegedly sued for libel and slander by an accounting firm that contracted with the hospital. Although he fought for City View to remain open in the ’80s, Matsumoto says now that the hospital was probably doomed to fail. Under the DRG system, it was losing too much money. Keiro, on the other hand, is still financially solvent, a fact that protesters often point to when arguing against the sale. Miyake, however, says that the decision to sell is based on projecting “five, 10, 15 years” from now. 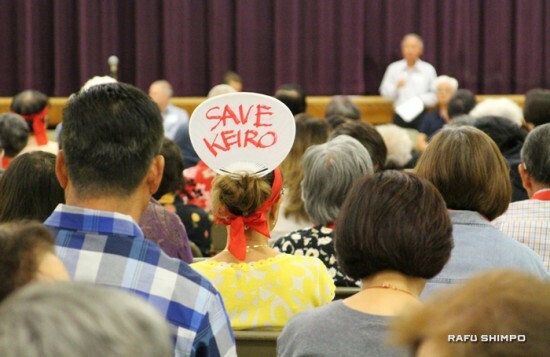 He and the board want to act now, so that Keiro’s assets, including the profits from the $41 million sale, can stay in the Japanese American community and continue to help seniors. So here we are, beginning 2016, with the sale to Pacifica expected to close sometime early this year. Barring action by the attorney general, Keiro, or Pacifica — or new measures by the Ad Hoc Committee — it seems that the sale will go through, leaving the community, not to mention residents of Keiro, wondering what happens next. First, Keiro will set up a Community Advisory Board (CAB), a group of people who will advise Pacifica during the five-year conditional period and report back to the attorney general. Just what kind of and how much power this board will have remains to be seen, but Keiro did reserve three seats for members of the Ad Hoc Committee. According to Kawaguchi, 40 people applied in total, and only two of them were committee members. After the sale is final, presuming it goes through, Keiro will have to, by law, use its assets to benefit Japanese American seniors. They will do this through their Genki Living program, which they will expand, and other classes aimed to help seniors maintain good quality of life at home, rather than at residential care centers. Dianne Kujubu Belli, chief administrative officer, will lead this new phase of Keiro.